The map below show that the shape of a state can greatly impact the political cohesion of a country as well as it’s economic viability. While this is obviously a fictitious map, it draws our attention to the logistic difficulties that confront Palestine with the Israelis controlling crucial transportation access points and corridors. 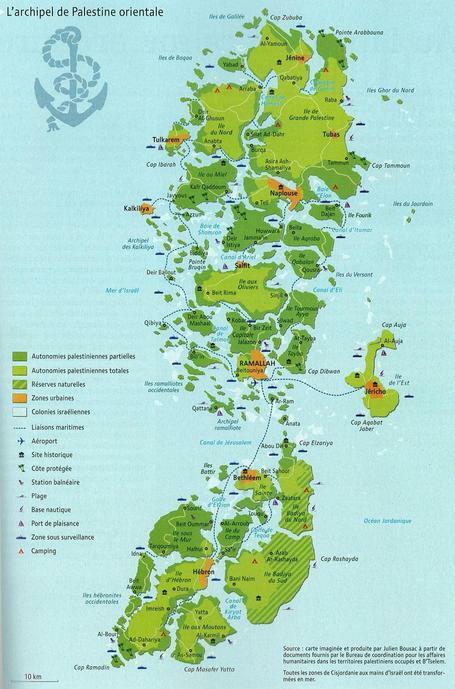 Questions to Ponder: How is the a ‘persuasive map?’ What are some of the geographic impacts of this fragmentation on Palestine? For Israel? You can see the original Strange Maps blog post. This childish video brings up some serious questions: How much do we trust any given map? How much should we trust a map (or the printed word)? What makes a document reliable or unreliable? This video demonstrates the importance of mapping for the workforce, for the public good and how we organize the world around us.